Check out our Free Choice CSA If you are interested in helping the farm in the springtime but value the choice and independence of market shopping, you can pre-buy market credit in increments of $100. You'll get the flexibility of when and where you spend, a 10% bonus, and don't even have to bring your wallet! The town of Damariscotta is home to two vibrant and diverse farmers markets and you can visit Brady at either one. Monday afternoons in the Rising Tide parking lot from 3 until 6 pm. 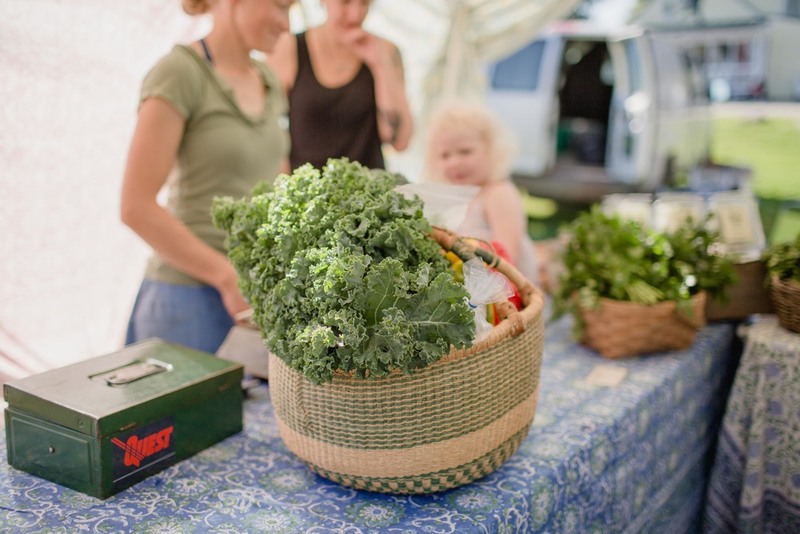 Swing by on the way home or after running errands, get inspiration for dinner, see what some of the new farmers, cheesemakers and bakers have to offer. Friday mornings we are located at the DRA Round Top Skating Rink from 9 am until noon. Stock up for the weekend with the freshest organic produce, award winning cheeses, seafood, meat and much more then take a walk on the scenic trail down to the river. The farmers market a great way for us to interact with our customers, show off our wares and talk shop. We often bring smaller amounts of unique items to market and are always ready to talk about cooking and swap recipe ideas.